Regardless of how explanative you site tends to be, you customers may definitely have one or more questions to ask you. Again, in using your services, they may likely need your support. Hence, providing your customers with an automatic, reliable and immediate online support system is a sure way of standing shoulder high above your competitors. How is this possible? In this era of electronic automation, customers dread the idea of having to wait for ages for email response or even a returned call. Rather, what they cherished is a 24/7/365 access to information. Fortunately, this is exactly the type of customer self-service application offered by Chromium IT Solutions. Chromium IT Solutions gives you an uninterruptable e-support application that brings your enterprise to the next higher levels of customer relationship management. And the truth is that this is exactly what you want in you customer care unit. So why not grab your apps now? Giving your customers ultimate satisfaction in your service provision is absolutely a sure way of retaining their continued patronage of your business. One of the surest ways of achieving this is by giving them 24/7/365 access to information they badly need, as well as offering constant support and guidelines. Today, innovative, automatic and reliable customer self-service application is what customers expect of your support system. 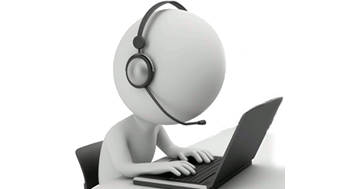 Hence, you need to automate your customer service or support center in order to fulfill your customers’ expectations. You can achieve this by contacting Chromium IT Solutions, the leading name in IT world. Chromium IT Solutions will ensure that your satisfaction and that of your customers are met by providing a very reliable, professional and automatic customer self service application for your business enterprise. Well, at Chromium IT Solutions, we provide nothing less than a truly reliable and automated customer self-service platform that has the capability to empower your valuable customers and extends your business goodwill to them. As a dynamic and creative IT company, we merged our unique skills with your own unique opinion to develop a fantastic Customer Self-Service app that is effective, easily implementable and flawlessly escalate to live agents.